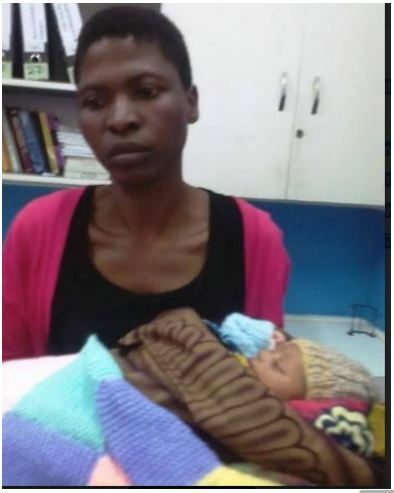 Ntcheu First Grade Magistrate Court has convicted and sentenced a 32-year-old woman to five years imprisonment for stealing a one day old baby at Ntcheu District Hospital. The state prosecutor Francis Malenga told the court that the accused went to Ntcheu District Maternity ward where she pretended to act as a heavily pregnant woman with an intention of stealing a baby. Mariam confessed before First Grade Magistrate Crispin Sachuluka that her sole purpose of coming to Ntcheu from Blantyre on that day was to steal a baby. Mariam who managed to beat some hospital systems, stayed for a while at Maternity Waiting Shelter with other women waiting for labour. Dressed like a pregnant woman herself, the accused then proceeded to Maternity ward where she allocated herself a bed next to the mother who had just delivered baby boy. The boy’s mother went to take a shower and left the baby with the accused who later escaped with it. The same day, she boarded a minibus to Blantyre and proceeded to Queen Elizabeth Hospital where she also allocated herself a bed among the newly given birth mothers before calling her husband and neighbours at home that she had successfully given birth to a baby boy. The baby stayed with the family for over a week and he was named Blessings before well-wishers, who got the news of the missing baby in Ntcheu on the radios, alerted the village chief who reported the family to Manase Police. She was arrested and charged with child stealing contrary to section 167 of the penal code and her husband Derick Dauson was charged with conspiracy to commit a felony contrary to section 404 of the penal code. However, the husband is still in custody waiting to answer the charges. Appearing in court on Wednesday, the accused pleaded guilty to the charge and asked the court for leniency stating that she will never do it again and that she has two children who will suffer most if she is handed a custodial sentence. But the state prosecutor prayed for a stiff punishment and a custodial sentence citing the scenario the offence was committed in. In his ruling, Ntcheu First Grade Magistrate Crispin Sachulika concurred with the state saying that people of Mariam’s caliber do not deserve to be in the community as they are a threat to any society. Sachuluka continued to say that the fact that Mariam managed to beat hospital systems, it entells that the crime was organised, and could have resulted into the death of the innocent baby. He then slapped her with sixty months Imprisonment with Hard Labour so that it serves as a lesson to the other would be offenders.